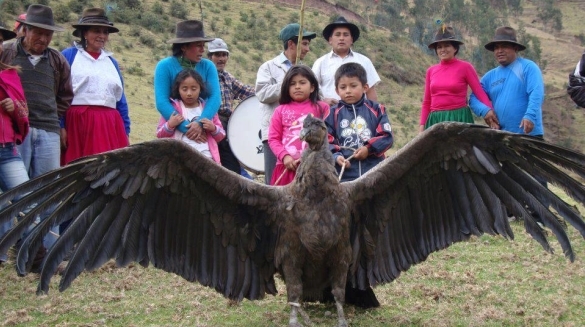 Indigenous Leaders from South, Central, and North America share the Prophecy of the Eagle and Condor as seen in the award winning film Shift of the Ages. Everybody has a checking-themselves-out-in-a-mirror face. 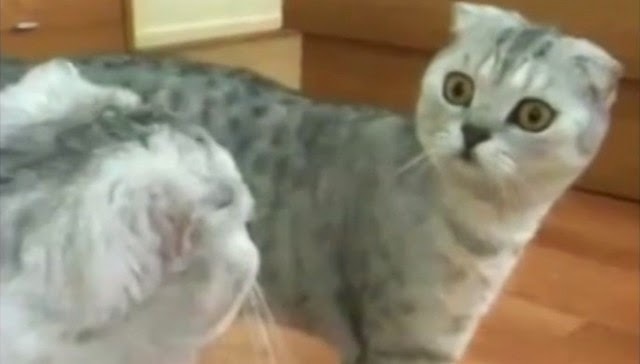 But in this video from Youtube user ignoramusky, this cat's reaction to its own reflection is weird and one of a kind. Do cats know it’s “them” when they look in the mirror? Yes and no. It really depends on the cat. Self awareness is considered an advanced intellectual skill that is only possible with developed frontal lobes. Like we have. And, like cats have. If our cat thinks their reflection is another cat, they are going to react to it as though it was another cat. Whether arching their back or extending their nose in friendship, our cat is acting as though there is another cat there. Yet this response is usually tempered by the puzzling feedback they get from this other cat who is mimicking their moves, yet is not registering on their other senses. 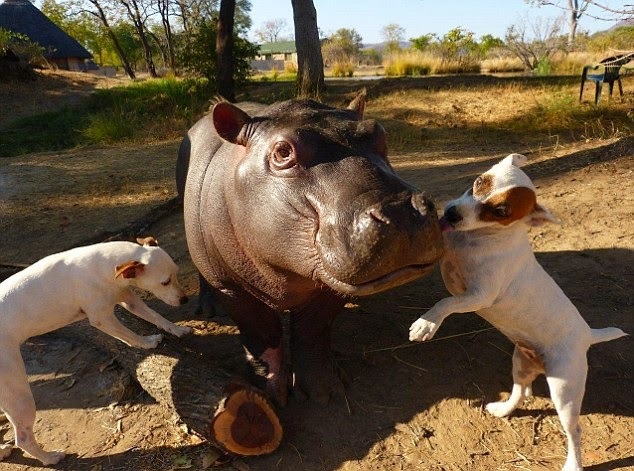 They are not the most likely of friends - but this lonely hippo has made some canine chums at a wildlife sanctuary. The baby was found abandoned without his mother at just two weeks old by the Conservation Lower Zambezi in Zambia. 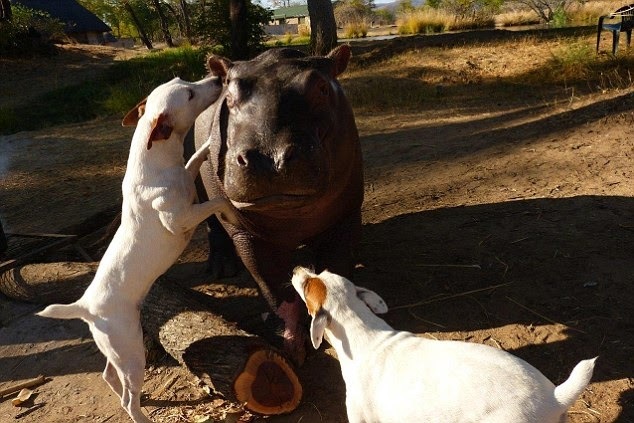 Called Douglas, the hippo appears perfectly content as terriers Molly and Coco gave him a friendly sniff. Last May, he was flown to the Chipembele Wildlife Rescue, where he will stay until he is big enough to be released into the wild. Staff feed Douglas milk to build him up and have taught him how to swim in the sanctuary’s pools. They hope one day he can join the wild population in the Luangwa River. But it remains to be seen how long his friendship with the terriers will last as he grows up. Male hippos grow to 5ft in height and 15ft in length. Although just weeks old, it took six men to carry Douglas out of the plane. The baby hippo would have weighed around 100 pounds (45 kg) at birth but could grow up to 8,000 pounds (3,629 kg). Hippos, found in the wild only in Africa, spend up to 16 hours a day submerged in rivers and lakes to keep their massive bodies coolin the hot sun and can live up to 40 years. 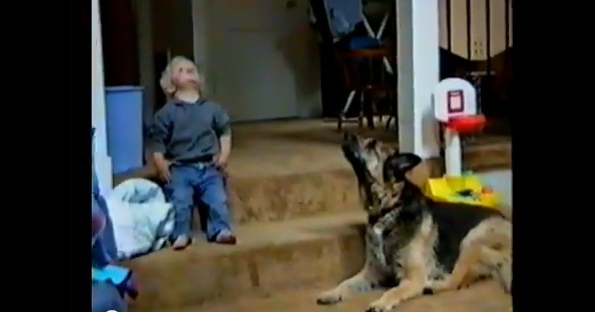 A boy and his dog have a howling good time. Friends that howl together stay together! Chris and Shadow are best friends and know how to talk to each other. Why Do Dogs Howl? Understanding your dog's behavior can be a daunting task. For example, why do dogs howl? Researchers admit that howling behavior in dogs is still largely a mystery. But if Fido goes wild at the sound of sirens or other dogs, it's not because his ears hurt. It's his ancestry that's partly to blame. Your pooch shares his penchant for howling with his distant relation, the wolf. Much like barking or growling, howling is a deeply ingrained behavior that helps wolves communicate with one another. 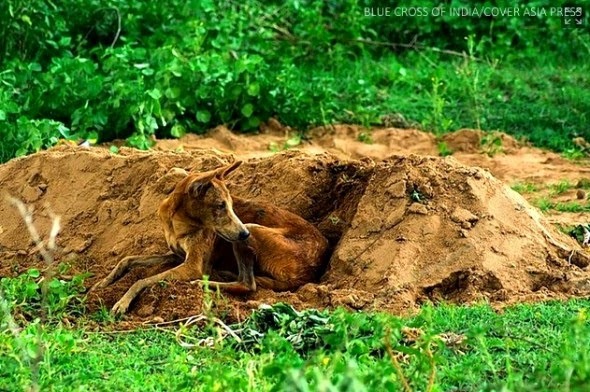 An incredibly heartbroken and loyal dog spent over two weeks with little to no food or water while he sat in the heat and cold to guard the gravesite of his 18-year-old owner, who was killed in a car wreck at the beginning of this month. Even though he is mourning, he is helping ease the grief of someone else. 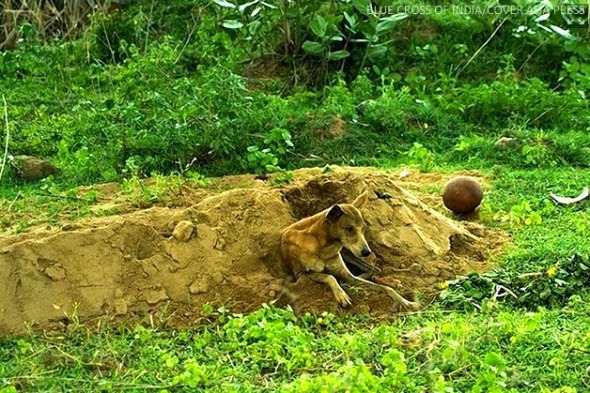 Tommy was adopted by construction worker Bhaskar Shri of Chennai, southern India, five years ago, and the two have been inseparable since. Tommy even accompanied him to his job on construction sites. 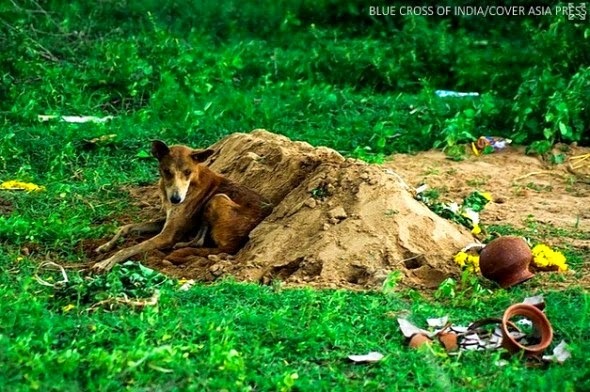 Sadly, Bhaskar was killed in a car accident on August 2nd, and his inconsolable dog has not left the graveside. Dawn was certain that Tommy could be seen with tears on his fur when she approached him. She tracked down the young man’s mother, Shrimati Sundari, who also works construction. She was overjoyed to see Tommy. She hadn’t seen the dog after the car accident, and believed he may have gone to find another home. 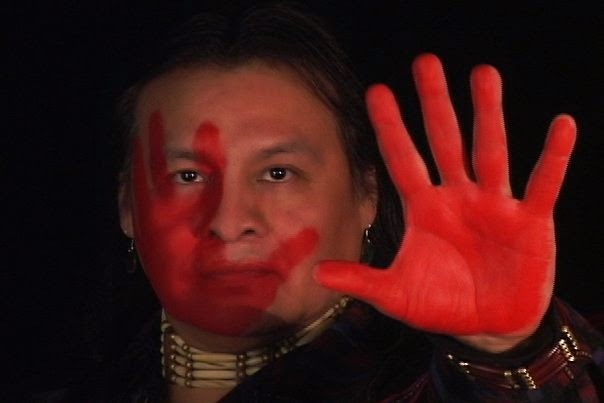 Featuring WBAI NYC Indigenous Voices Radio Talk Show Host and Lakota musician Tiokasin Ghosthorse. Tiokasin has been a long-time advocate for the rights of Native Americans and also preservation and sharing of indigenous wisdom. In this clip, Ghosthorse explains the anger he feels that Mother Earth is being abused, and how he is concerned about our reckless path of over-consumption and desecration of nature's bounty. 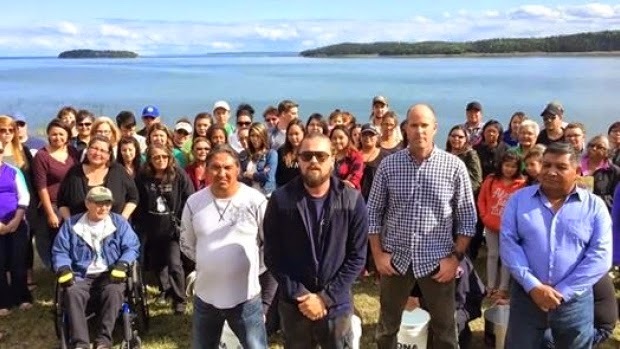 The time to shift is now—in the words of Onondaga Chief Oren Lyons—we need a "values change for survival." "We have to stop with the idea of creating peace on earth and begin with creating peace with Mother Earth. 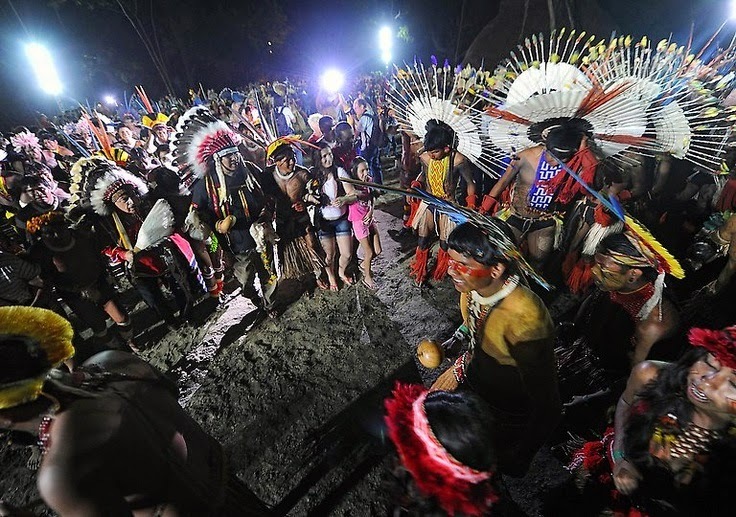 We've tried the first alternative for thousands of years, but look where that has led us, now is the time of the Original Ways, the Native ways, after all ... it is coming this way - that we all must make peace with Mother Earth - there is no more altering the native way." Tiokasin Ghosthorse is from the Cheyenne River Lakota (Sioux) Nation of South Dakota and the bands of Itazipco/Mnicoujou and Oglala. He is the host of First Voices Indigenous Radio on WBAI NY - Pacifica Radio. Tiokasin has been described as "a spiritual agitator, natural rights organizer, Indigenous thinking process educator and a community activator." One reviewer called him "a cultural resonator in the key of life." This is so cute, you cannot resist rubbing that little tummy! Sometimes on a lazy day, all you need is some relaxation and belly rubs. That's certainly the case for this little husky pup, who can't help but wiggle her leg with happiness every time she gets her tummy scratched. She's so relaxed, she's practically falling asleep! Siberian huskies are generally very docile and tend to love everyone, so it's no wonder that this puppy loves affection so much. Dogs tend to shake their legs as an involuntary response to being scratched on their belly or flanks. And remember, keep your dogs cool and hydrated in the summer heat! 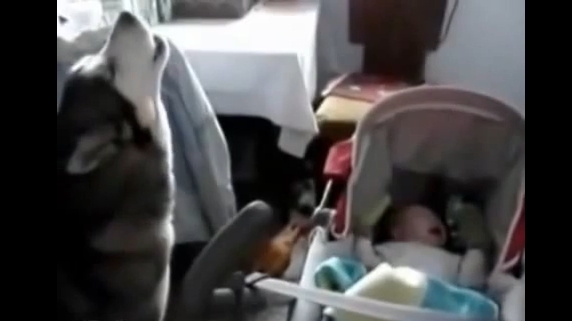 This dog knew just the thing to do to calm his crying baby friend. This husky has serious talent! Anybody need a babysitter? We all knew that dogs were man’s best friend, but now it’s obvious that dogs are any baby’s best friend as well. All interactions between your baby and dog should be monitored very carefully. This monitoring should continue until your dog is paying no attention to the infant or is completely friendly toward the baby. Never leave a baby or small child UNATTENDED with a dog for ANY REASON. Help your dog learn that the baby belongs in your family by exposing the dog to the baby in a very gradual and controlled manner. The exposure should be positive so the dog does not associate unpleasant situations with the baby so the dog does not feel anxious or aggressive in the baby’s presence. 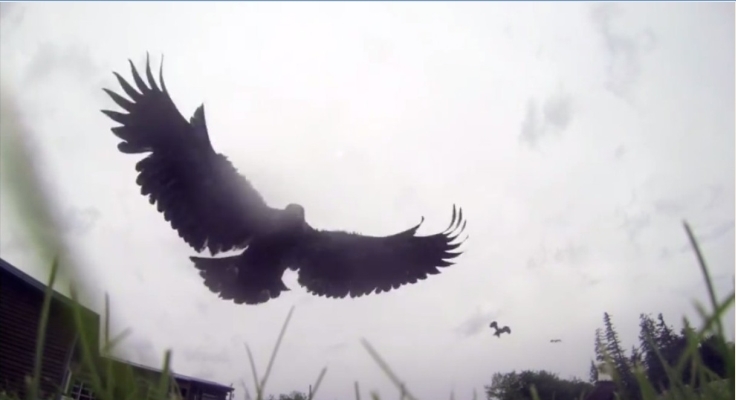 Once the eagle was able to inspect the camera on perch, she realized that the camera wasn't actually food at all — her impressive talons couldn't even break the gadget open. Here a herd of deer, wandering through a residential neighborhood, encounters a solitary white cat with a colored tail. "It's been three days since we left the forest, and we've come across a bizarre little creature. We initially called it a 'Slippers,' since that was the name on the tag, but have since learned it's called 'cat.' The cat seems as curious about us as we are of it, but will let us only get so close. Further investigation has shown the cat appears to enjoy batting around our short flopping tails and works itself into a frenzy over a curious red dot the humans control. More as it develops." Okay, well, actually you can find out by watching the video. 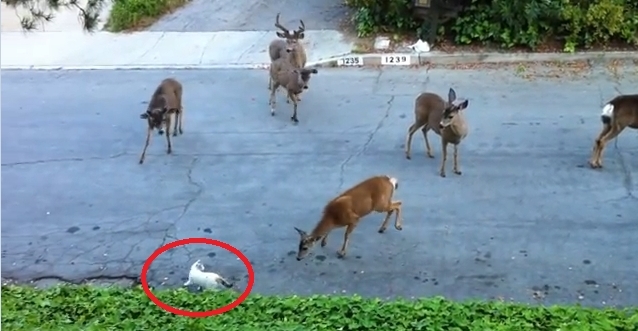 So, please, enjoy this video of a cat and a small group of deer trying to figure each other out. 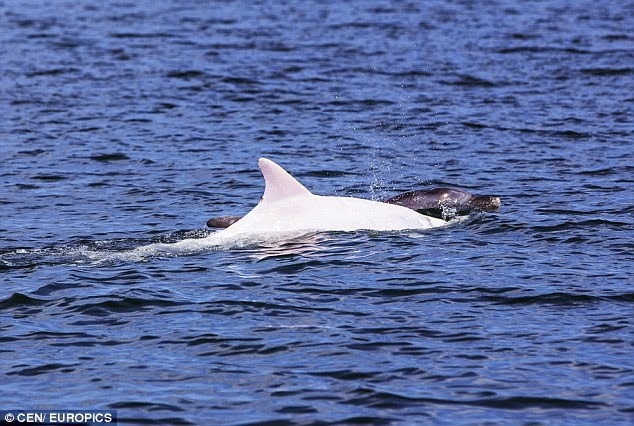 Marine researchers in Croatia have revealed how they have found a previously unrecorded albino dolphin, one of only 20 in the world. The rare mammal - named Albus by the research team - was found in the Mediterranean off the coasts of Croatia and Italy. Experts say the dolphin - believed to be male - appears to be in good health. Albus was first spotted near the eastern Italian port city, Ravenna. 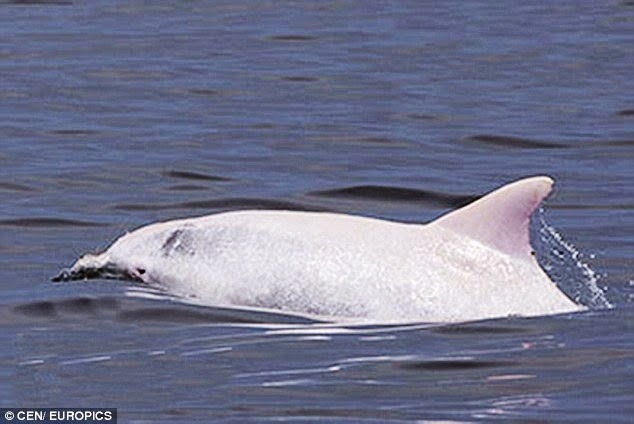 A spokeperson for Plavi Svijet, a Croatian environmental organisation, said: "We have observed an extremely rare albino bottlenose dolphin. 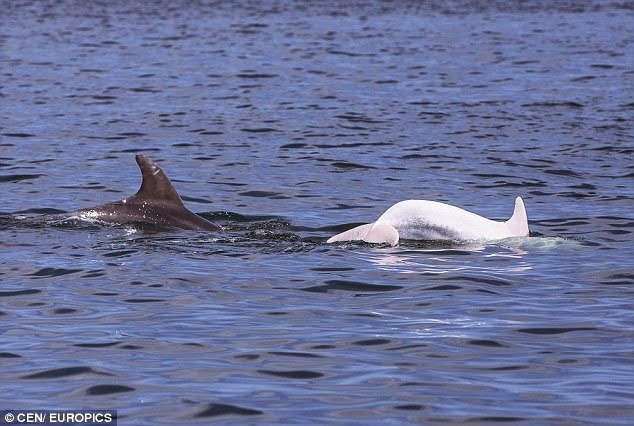 "This appears to be the first albino dolphin spotted not only in the Adriatic Sea, but in the entire Mediterranean. "Albus was, when we met, with another, normally coloured bottlenose dolphin. Both animals swam and fished, and almost completely ignored us." 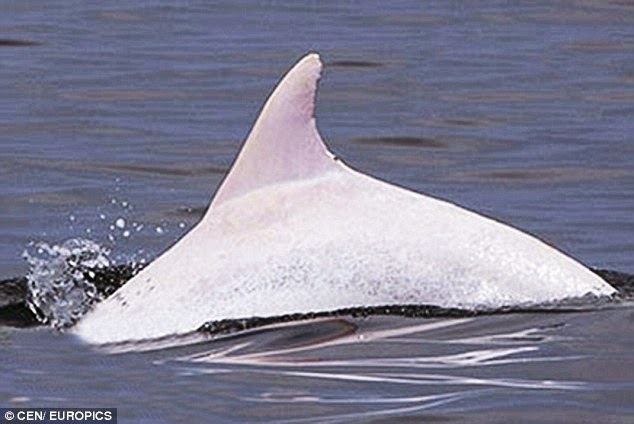 Bottlenose dolphins are normally a grey colour but a gene mutation gives the albino variety white skin and pink eyes. "They are no weaker or less able than other dolphins but because of their colour they can be more vulnerable to predators," said one expert. But the scientists who found Albus warned: "Please don't try to track him or follow him. 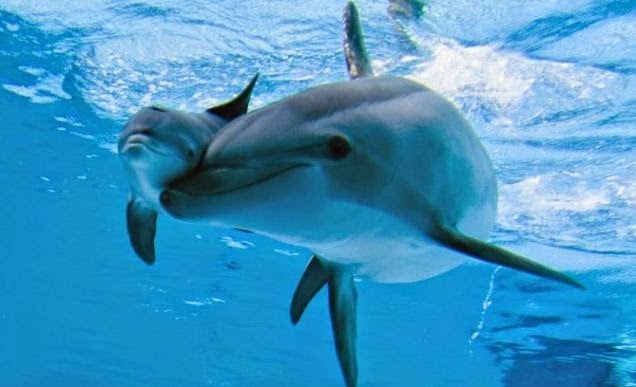 The only animal a dolphin has to fear in these waters is man." 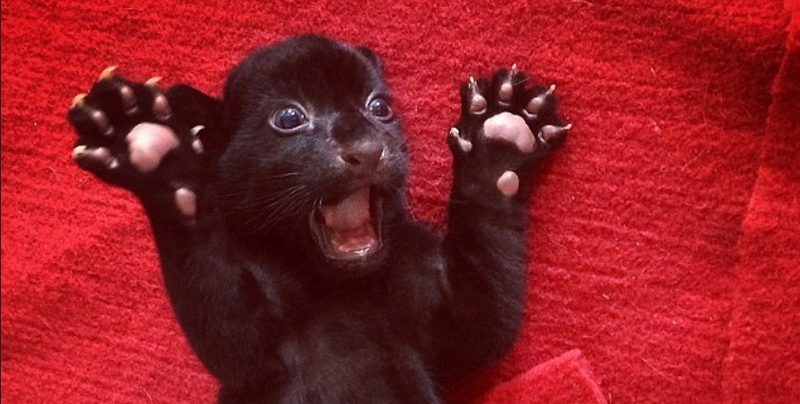 With its arms outstretched, claws bared and mouth gaping open, this black panther cub believes it is a fearsome sight - but the act isn't fooling anyone. 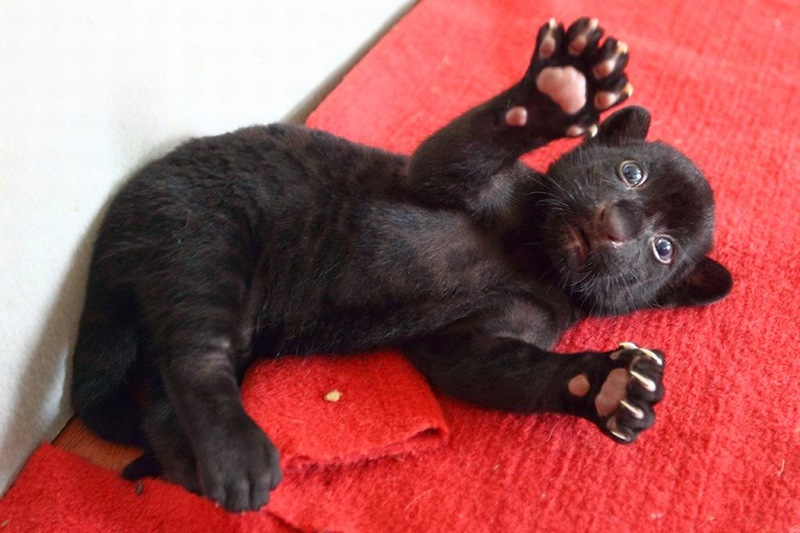 The adorable 25-day-old feline was photographed playfully rolling around on a red carpet in the city of Hangzhou, in Zhejiang province of east China. 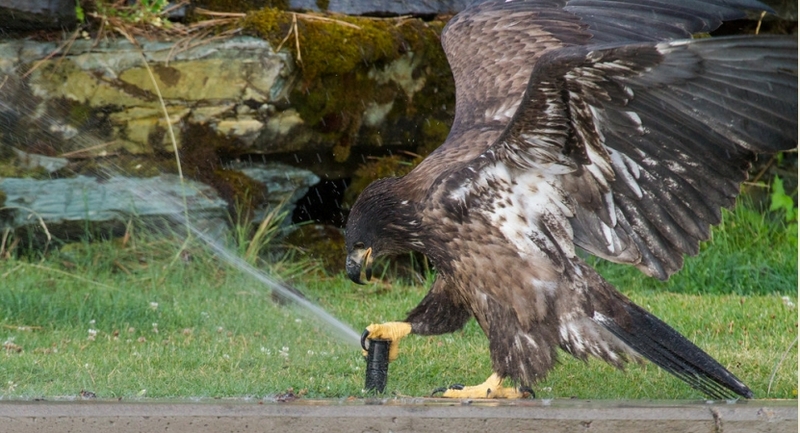 Bald Eagle Toddler has a new toy! The young are always curious, and that's not just restricted to humans. While its parents were out fishing, this three-month-old bald eagle decided to explore its surroundings. Robins added in a YouTube comment that the eagle played for around 20 minutes. "By that time," writes Robins, "he was soaking wet." But by the looks of it, this bird had a great time. When all other Seminole, Texas students were headed to their first day of school on Monday, one little boy was sent home because his hair was too long. 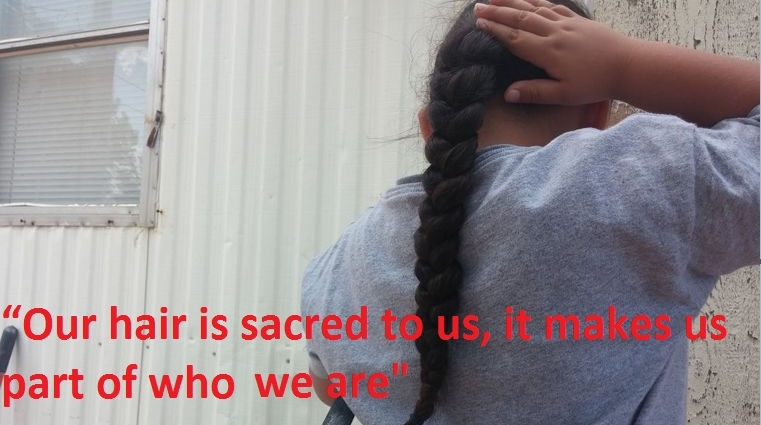 The five-year-old boy, Malachi Wilson, is a part of the Navajo Nation, and according to his parents, it’s against their religion to cut his hair. CBS 7's Lauren Lanmon reports. The district says they were only following procedure and after proper documentation was shown that he was truly Native American, he was allowed to register. But his mother says even though he is in school now, they’ll never get back their first day of Kindergarten. “Malachi was excited to start school all summer long. After we had enrolled him he was excited, everyday it was the question, ‘mom, are we going to school?’” said Malachi’s mother, April Wilson. Excited about his first day of school, Malachi walked into the doors of F.J. Young Elementary only to be told he couldn’t attend because his hair was too long. “Our hair is sacred to us, it makes us part of who we are,” said April. “I trim it, it grows back,” said Malachi. 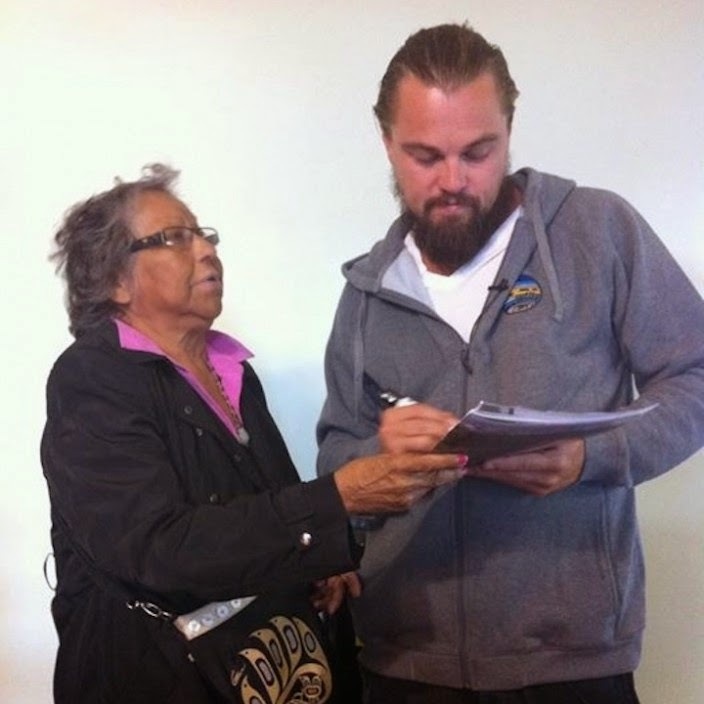 “He’s more native on his dad’s side than on mine,” said April. School district officials say they followed procedure "one hundred percent", pointing to a page in the district handbook that states, “certain recognized religious or spiritual beliefs may qualify for an exception from provisions of the dress code.” The handbook goes on to say that with proper documentation all students are allowed. But even though Malachi is now enrolled, his mom is still bothered by their first day of school encounter. “It’s kind of heartbreaking because - how do you explain to a five-year-old that he is being turned away because of what he believes in, because of his religion, because of what’s part of him - how do you explain that to him?” said April. April says after yesterday’s events, she has even thought about taking him out of public school adding she still plans on finding a lawyer to talk about the possibility of a discrimination case. More than 100,000 of the nearly 300,000 members of the Navajo Nation live in New Mexico. There have been incidents dating back to the late-19th century in which people have forced Navajo schoolchildren to cut their hair, something forbidden the Nation's culture. 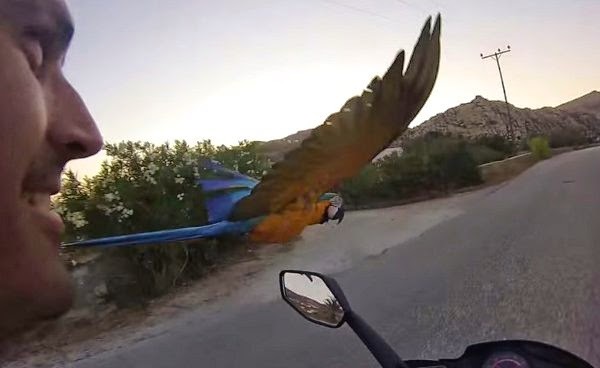 Ladies and gentlemen, meet Vito the macaw. Paros is a Greek island in the central Aegean Sea. One of the Cyclades island group, it lies to the west of Naxos, from which it is separated by a channel about 8 kilometers (5 miles) wide. It lies approximately 100 mi (161 kilometers) south-east of Piraeus. The Municipality of Paros includes numerous uninhabited offshore islets totaling 196.308 square kilometers (75.795 sq mi) of land. Its nearest neighbor is the municipality of Antiparos, which lies to its southwest. 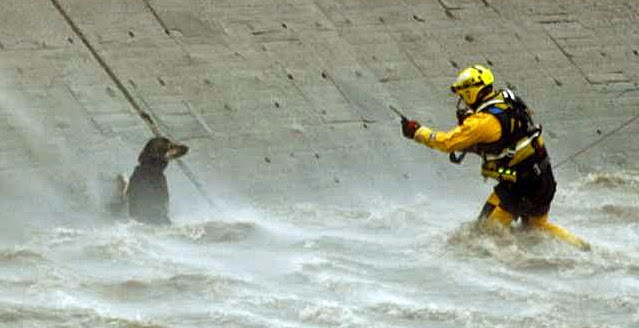 The Los Angeles Fire Department has defended its decision to deploy about 50 firefighters and a helicopter to rescue a dog from the Los Angeles River. The department has received praise for the hour-long rescue operation, but has also come under criticism for using so many resources. Mr Ruda said there was no extra cost because the firefighters were on duty and stationed nearby. The German shepherd, nicknamed Vernon after the southern California town where it was found, was saved when a firefighter dangling from a helicopter grabbed the dog and held tight as they were taken to an overpass. 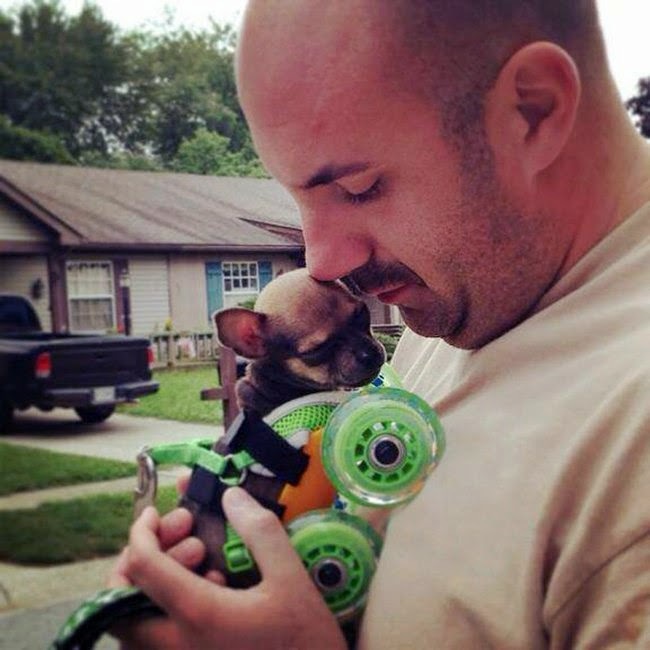 The dog bit the firefighter, who lost a nail and fractured his thumb. Joe St Georges, 50, said he had no hard feelings toward the dog. "I didn't really have the time to establish any rapport with the dog," Mr St Georges told reporters after being released from County USC medical centre. "He's cold, he's wet, he's scared, and then here's this stranger jumping on his back for all intents and purposes, and he did what dogs do." 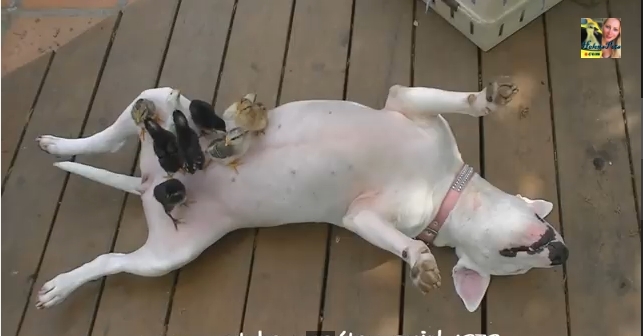 This woman in Texas video film her baby chicks at ease with a neighbor’s bull Terrier named Shiva. To say the chicks are at ease is an understatement. The bull terrier is sprawled out on its back on the deck. With its paws outstretched, seven baby chicks are congregated on the dog’s abdomen chirping away pleasantly. It’s quite the sight to see because chicks wouldn’t be expected to be so comfortable around dogs. At one point, Shiva turns back over as it lays on the deck. The chicks are gathered around its front paws and adoringly interact with it even touching their beaks against its muzzle. The love and attention they offer Shiva is a bit smothering and one by one the dog gentle nudges each of the chicks away so as to get the space to presumably rest its head. That doesn’t happen though because the chicks keep coming back. They expect to congregate about Shiva much as they would with their mother hen if they had been raised by one. Well, point in fact, they see dogs as their mother hen. Eventually, Shiva does manage to rest his head, but only for an instant as one of the chicks promptly makes it way to it its head once more. It’s an adorable video of two uniquely different species at peace with one another. 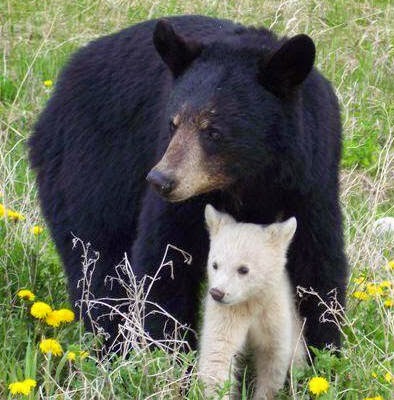 Not just any mother bear and her cub, but a black bear with a white cub. This mother Black Bear and her Albino cub were seen along a highway near Chapleau Ontario. Aboriginal people feel an Albino Black Bear is a powerful omen of good luck. An albino bear is sometimes called the Spirit Bear or Ghost Bear but in the Cree language they are called the Kermode Bear. They are most common on the west coast of British Columbia but have been found in Ontario and Manitoba. 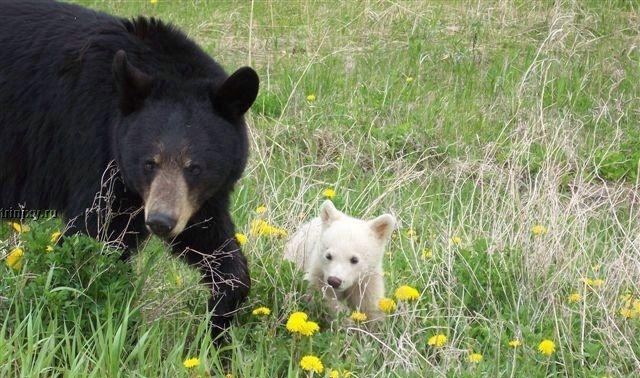 Origins: An albino black bear is a rarity, but as the photographs displayed above attest, an infant bear of that uncommon variety is what people started spotting near the Chemawawin Cree Nation in Manitoba (about 250 miles northwest of Winnipeg) around May 2004. 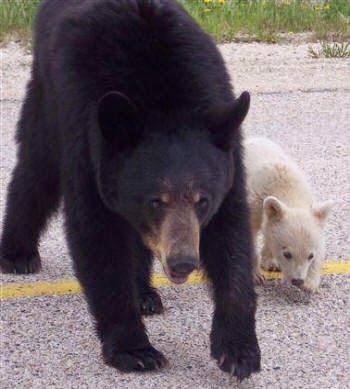 Visitors to the area began reporting to conservation officials that they had seen the snow-white cub roaming the First Nations community with its mother amidst a pack of black bears, sending tourists flocking to Oscar's Point at the northern tip of Lake Winnipegosis to catch a glimpse of the unusual little bruin. 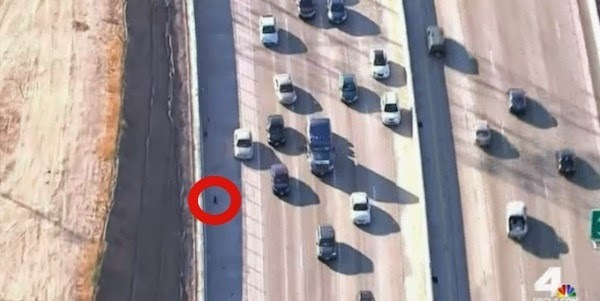 A stray dog was rescued from a busy Los Angeles highway after motorists worked together to capture the animal. A group of motorists worked together to help save a loose pit bull running on an LA highway. The armada of cars worked together to keep other cars from hitting the panicked dog and tried to keep the dog on the side of the road. A news helicopter caught the dog's rescue on film. After cars had managed to move the dog to the side of the road, Andie Valerio got out of her car and ran down the highway after the Pit Bull. "[I ran] just to save the dog, I didn’t want her to get hurt,” Valerio told NBC Los Angeles. She said the dog was very sweet and temporarily took the Pit Bull home. An animal control officer later came and picked up the dog and took her to the Southeast Area Animal Control shelter in Downey, California. The dog, who appears to have recently had puppies, is not microchipped and the purple collar she was wearing did not have any ID tags. 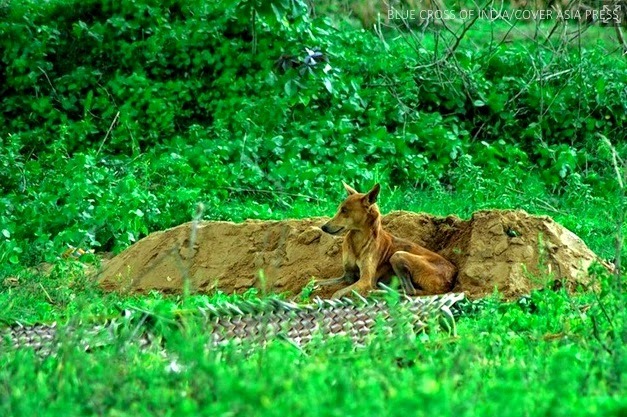 But officials are hoping that the dog’s owner will come forward and pick her up. If they don't, the dog will be put up for adoption. "it was just so hot for a 2 week period that that they decided to take a dip" youtube user says. "I did not call the game commission, and no bears were harmed. These bears were simply using the pool to cool off during a 2 week heat wave." In the end mama bear turn around her head and says thank you from whoever this pool is. Pennsylvania has been a home to black bears since before the earliest settlers arrived. They have been roaming in our forests, wallowing in our bogs and swamps, and living around our farms and homes for a long, long time. Unfortunately there's as much misinformation about bears in circulation as there is fact. That's too bad because bears needn't be feared nor should they be dismissed as harmless. They simply need to be respected. Pennsylvania's bear population has been increasing for years. As a result, bears and people are coming into contact more than ever before. These encounters are occurring because development is encroaching into or occupying bear habitat, and bears have learned that there's easy-to-obtain food where people live. Learning about bears and being aware of their habits is important for people who live in bear country, which now spreads throughout most of the state. Here's something a bit more heart-warming going into the week. 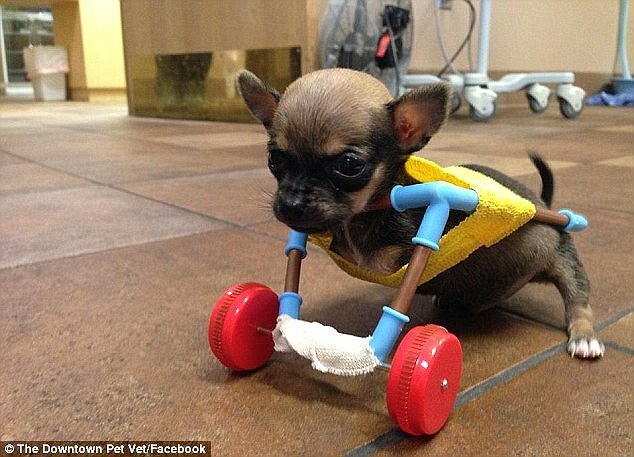 Turbo.roo, reports Designboom, is a chihuahua born without front legs. He was adopted by Ashely Looper, a technician at a veterinarian clinic in indianapolis, USA. 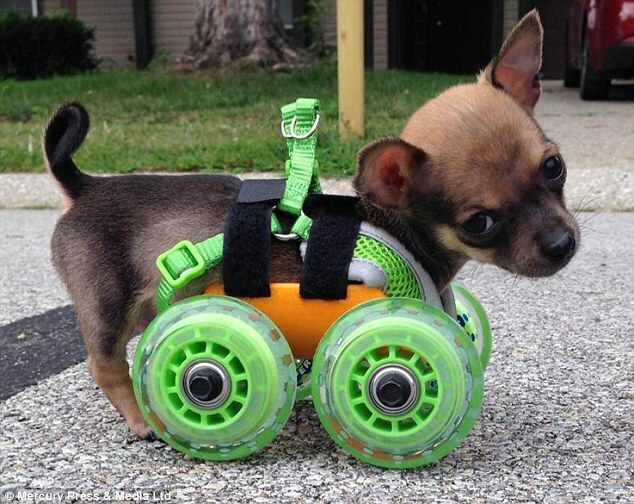 To help him regain mobility, Looper turned to crowd-funding to raise enough money to buy a custom-fitted cart for Turbo.roo. The fund-raising efforts were brought to the attention of Mark Deadrick, president of 3dyn, a firm that does 3D design and printing. 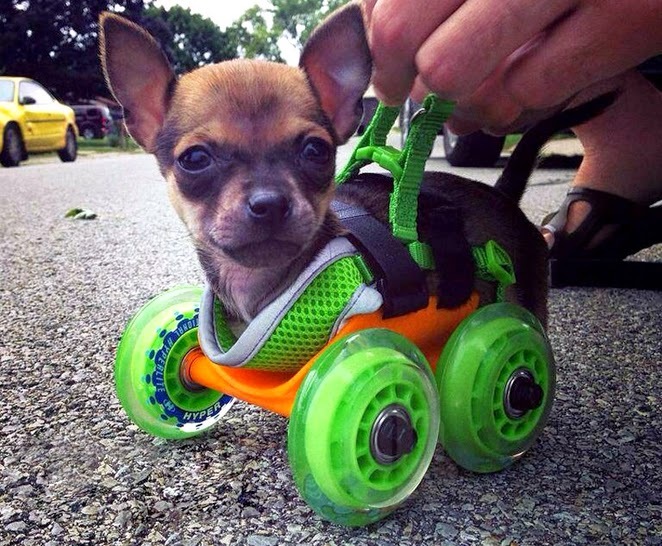 He created a a special cart that could be fitted with what looks like rollerblade wheels, which is the one that you can see in the top photo and in the photo below. 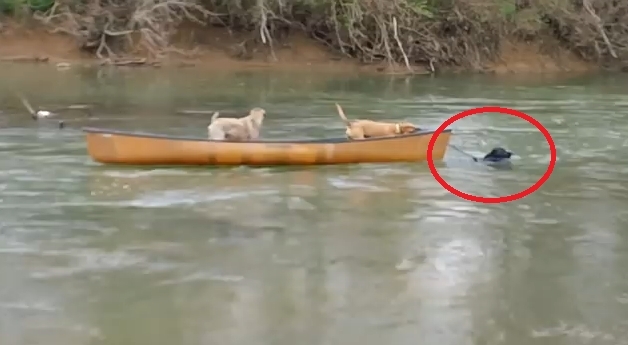 A brave labrador rescued two canine pals who were stuck on a boat floating down a rushing river. In a scene reminiscent of Disney family movie 'Homeward Bound', the clip shows two dogs stranded on a canoe, drifting down a fast-flowing river. When they bark in distress, brave black labrador Robbie leaps into action - fearlessly swimming across the rushing water towards his pals. The canine hero reaches the boat, taking a rope attached to the front in his teeth and pulling the pair across the fierce current to safety. Robbie's proud owner is heard in the background offering words of encouragement - saying "Keep going, boy - bring him home" - before getting a soaking from his hero pup as he shakes himself off. Gaika and Masha are two bears who were part of a Russian circus. They lived on a truck for 17 years.The owner/trainer died and the circus was closed. Now they are at their new home at The Wild Animal Sanctuary. 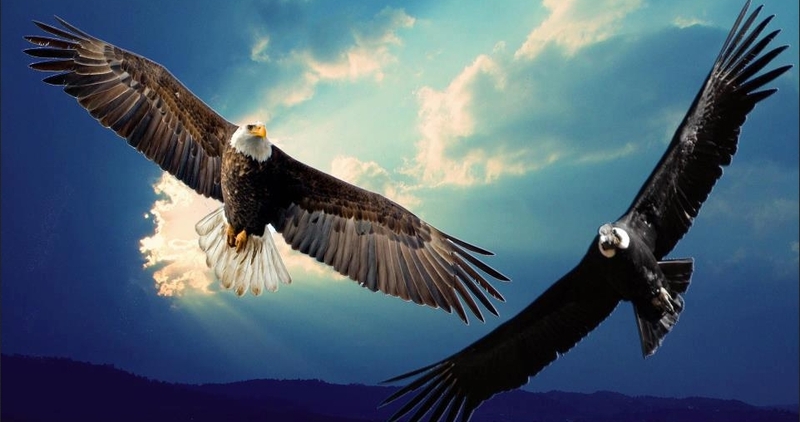 Watch them experience freedom for the first time. There are many animals who are lucky enough to live out their lives in the wild — free to do whatever they want whenever. However, unfortunately, there are some who become part of human entertainment for profit and these animals are confined, abused, and enslaved. Case in point: Gaika and Masha. In the video, watch as Gaika and Masha feel the grass beneath their paws for the first time after being rescued! They run, prance, and jump for joy (literally!). 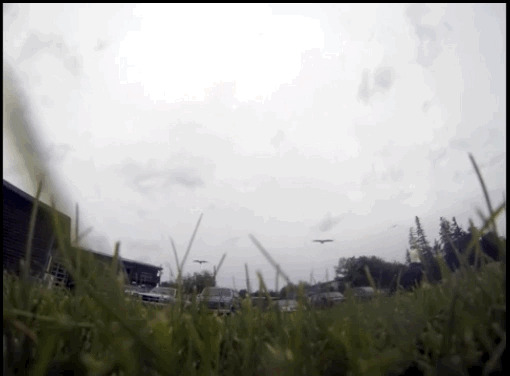 This heartwarming video of freedom will make your day. 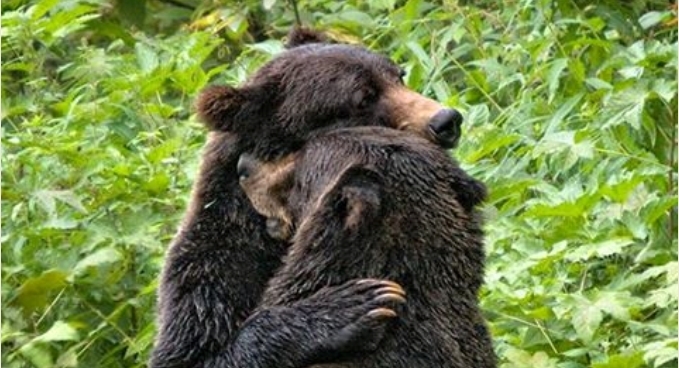 Wait till 0:28 to see how happy these bears really are!